Today's post marks the first in a spate of upcoming fall book reviews. (After a year of book touring, it's nice to once again have time to both read design books and review them.) First up is Markham Roberts: Decorating the Way I See It. I am a huge fan of Markham's work, so one might think that makes me a biased reviewer. If anything, though, it makes me a tougher critic. I expected a lot from this book, and Markham delivered. What has long drawn me to Markham's work is the fact that there is nothing forced nor contrived about it. A rarity in today's world, Markham is one who doesn't seem to feel the need to prove anything nor to beg for attention, and the same probably goes for his clients, too. (Isn't it reassuring to know that a few low-key, unassuming people still exist?) 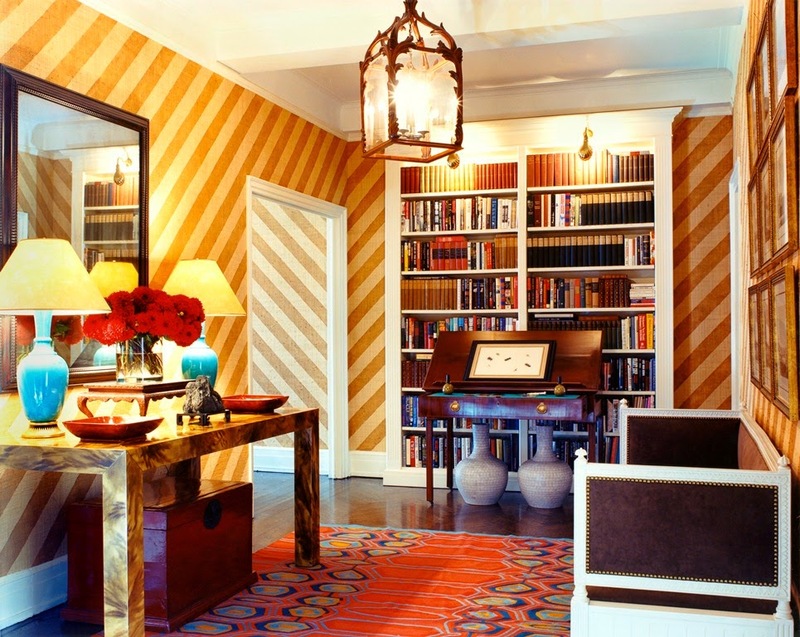 What's important to Markham- and what he stresses in his book- is that the interiors he decorates reflect the lifestyles and personalities of his clients, something which, as Senga Mortimer notes in the book's foreword, means that Markham's work lacks "a recognizable stamp for which so many decorators become known." Instead, Markham's work has range, though it's a range that is ably supported by a mastery of decorating. While looking at the book's photographs (many of which, by the way, have not been published before,) I was reminded of the work of Albert Hadley and Mark Hampton (Markham's mentor,) both of whom also worked within an impressive range of styles. In addition to the "can't take your eyes off of them" photos, the book's text, which was written by Markham, should not be overlooked. The designer has included sound decorating advice in his book, all of which is written in a breezy, down-to-earth style. But the book isn't solely about decorating; it's about living, too. You really can't have one without the other, and that is something that Markham inherently understands. Markham Roberts's comfortable approach to decorating and living is a breath of fresh air, and that's what helps to make his book so inviting. It's a book that you will want to add to your design library. And after reading the book, you just might find yourself either wanting to hire Markham as your decorator or inviting him to your house for dinner. 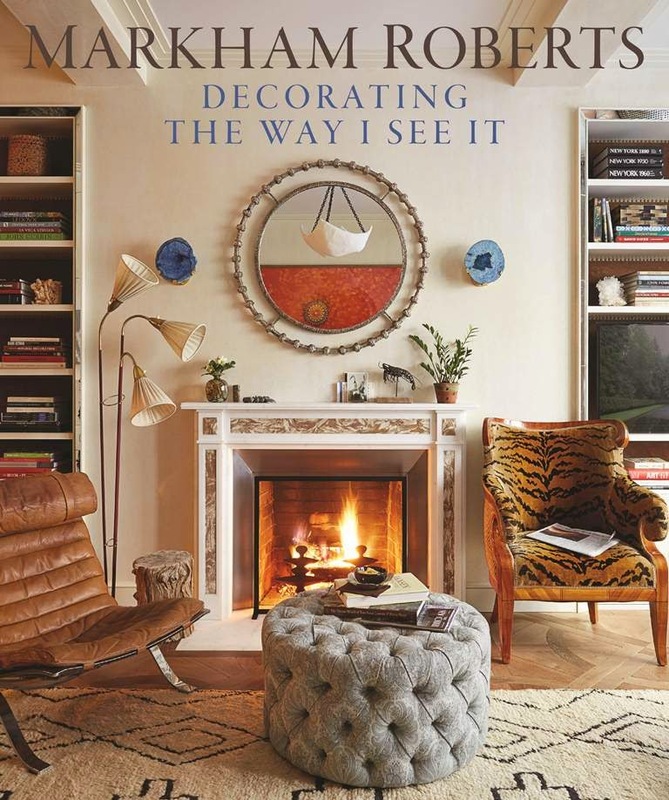 Markham Roberts: Decorating the Way I See It is available through Barnes & Noble, Amazon , and IndieBound. 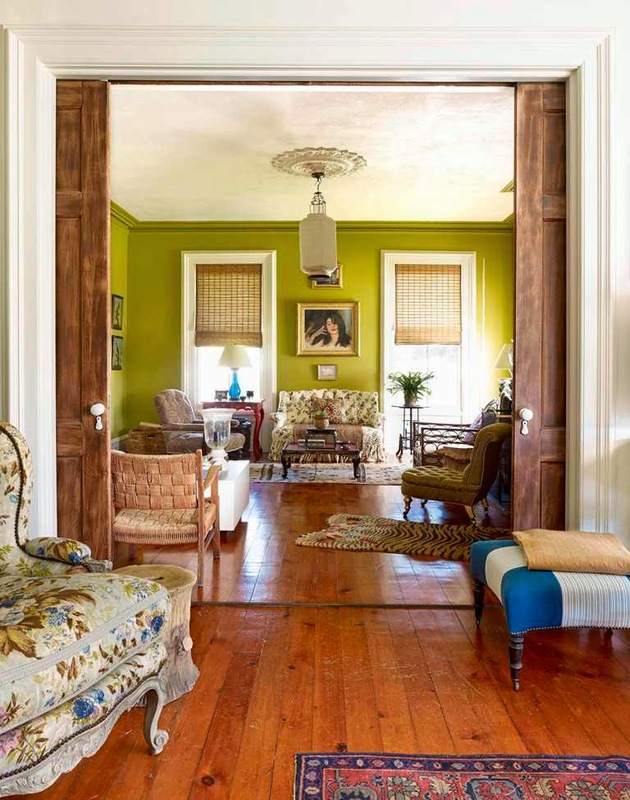 The styling of each room is classic and comfortable. Great to see a contemporary Interior designer addressing the needs and personalities of the client. This book is now on my wish list. FYI: there is a copy of 'In With The Old: Classic Decor from A-Z' in the Waterstones branch in Lewes, East Sussex. Pamela, Thank you for letting me know about my book being at Waterstones. That's nice to hear! isn't that the most beautiful book! Jennifer I just finished this book last night, savoring every page. I loved his thoughts on life and living comfortably; especially the fun quips that makes it all real. 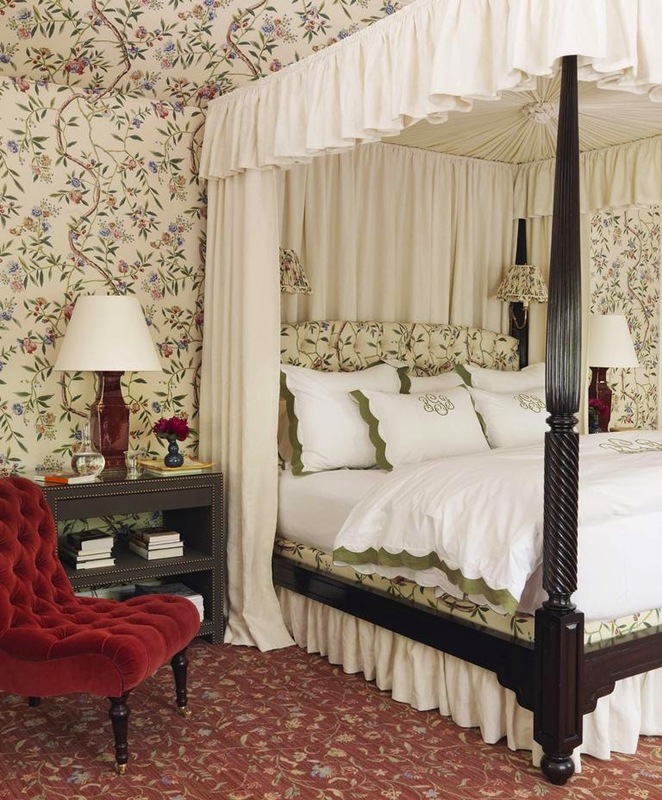 If anything in the decor stands out to me it is his way with mixing a variety of patterns so beautifully. Also his way of updating a verrry traditional piece with fresh fabrics! 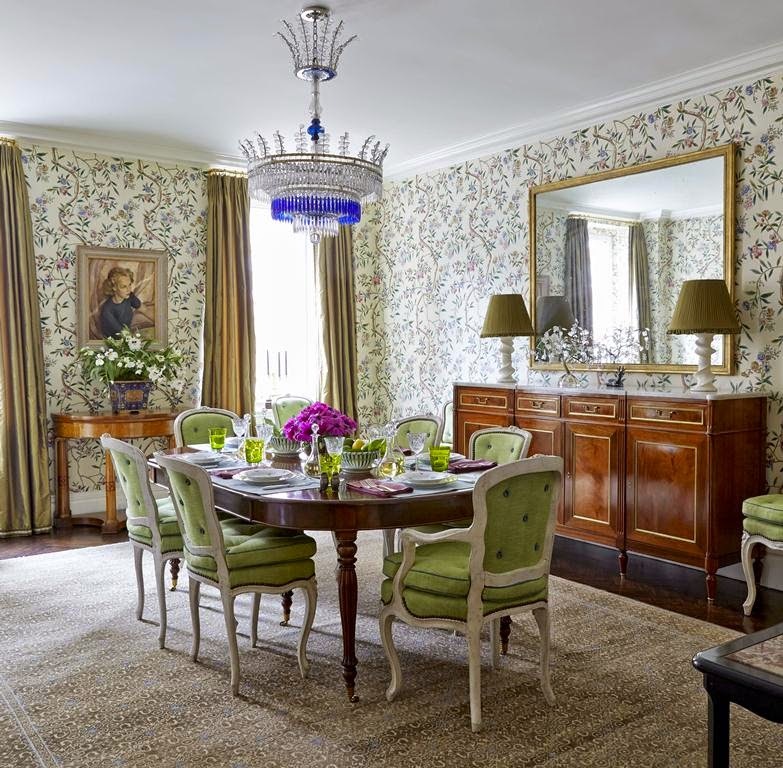 I was thrilled to se an entire chapter devoted to art and its importance in Interior Design. Karena, Yes, I also liked the chapter devoted to art. Markham's work is just beautiful, and he appears to be quite an elegant guy who flies comfortably under the radar! How refreshing that many of the projects in the book haven't been published! Foodie, I agree that Markham's work is beautiful. I think he is one of today's most talented designers. I love seeing talented designers and their interpretation of beautiful spaces - it never ceases to inspire!! Thanks for sharing, the book looks beautiful!!! Leslie, Hope you get a chance to look through the book. It's a good one! A great book review, from one who knows! This definitely looks like a book I need to get! Kristen, It's one of my favorites of the fall book releases. Ordering my copy today! 'Was also pleased to see that he'll be a guest lecturer at this years Antiques and Garden Show in Nashville. Enjoyed your panel last year and will look forward to hearing from him. He has a gift for keeping the traditional fresh and chic!